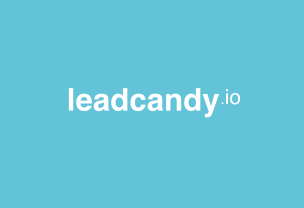 LeadCandy offers a platform for users to find prospect emails, common connections and social profile info. I have used database lists and email finder tools earlier. Database lists generally have 35-40% correct emails, and email finders don't always provide verified emails. As a result our email deliverability suffers. With LeadCandy, we got verified emails and the accuracy was over 90%. I particularly liked their Smart Lead List that provides list of people using complementary products and competitors prospects. * We monitor all LeadCandy reviews to prevent fraudulent reviews and keep review quality high. We do not post reviews by company employees or direct competitors. Validated reviews require the user to submit a screenshot of the product containing their user ID, in order to verify a user is an actual user of the product. Hi there! Are you looking to implement a solution like LeadCandy?